You may have discerned that the gnawing pain in the back of your mouth is coming from your wisdom tooth or teeth. Wisdom teeth can cause pain if they have not emerged in alignment with the other teeth in your mouth or if bacteria has infected the area. While these situations are problematic, pain may not be your only concern. The search for affordable dental treatment for your wisdom teeth may seem difficult. Fortunately, Penn Dental Medicine can offer affordable wisdom teeth removal without compromising the quality of care. 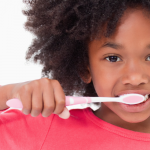 We aim to increase the access of superior oral healthcare that we believe everyone deserves. 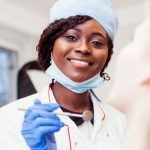 Learn about our teaching clinic and why you should choose us for your wisdom teeth removal procedure. Penn Dental Medicine is the teaching clinic associated with the highly respected University of Pennsylvania School of Dental Medicine. When you become a patient here, faculty-guided dental students use their expert knowledge and training to provide the answers and treatments you require. These student-dentists are closely supervised by experienced faculty, ensuring you receive the highest quality of care in our office. Because PDM functions as a teaching clinic, our services come at a lower cost than they typically would at private dental practices. Much has changed since our founding in 1878 but what has not changed is our commitment to providing comprehensive and patient-centered care. Our team is dedicated to informing patients about oral health and preventative care measures they can take, as well as suggesting oral hygiene habits and treatment options for diagnosed conditions. At Penn Dental Medicine, your dental needs and comfort level come first. An array of oral surgery information and options. The thought of getting wisdom teeth removed can frighten some patients. 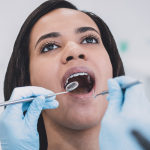 Our dentists keep patients’ nerves at ease by explaining the steps of the process and what to do at home to ensure quick wisdom teeth recovery. 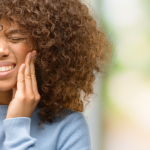 If your student dentist evaluates your wisdom tooth or teeth and decides its extraction will cause a great amount of pain, we can offer an appropriate method of pain relief, such as nitrous oxide sedation. Still have questions about our services, affording dental appointments, or oral surgery in general? PDM offers numerous complimentary, downloadable resources to both patients and potential patients, including these two relevant eBooks, The Affordability of Truly Comprehensive Dental Care: How to Secure a Patient-Focused Dentist Office and Your Comprehensive Guide to Oral Surgery (PDF). You can also call our office at 215-898-8965 to learn more about affordable wisdom tooth removal service or to schedule an initial examination. We look forward to seeing you in our office.